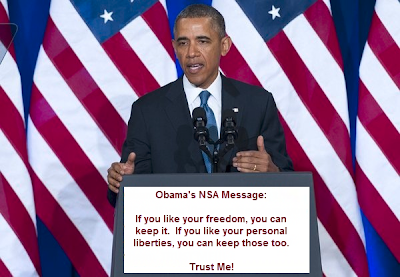 Earlier today, President Obama gave a long-awaited and long-winded speech on the NSA. The Washington Post has the transcript. Obama says we need more "balance" between security and liberty. The president would "not dwell on Mr. Snowden’s actions or his motivations". Instead of praising Snowden, the president says "the sensational way in which these disclosures have come out has often shed more heat than light, while revealing methods to our adversaries that could impact our operations in ways that we might not fully understand for years to come."